Can You Imagine Facing Eviction with Two Little Girls?? 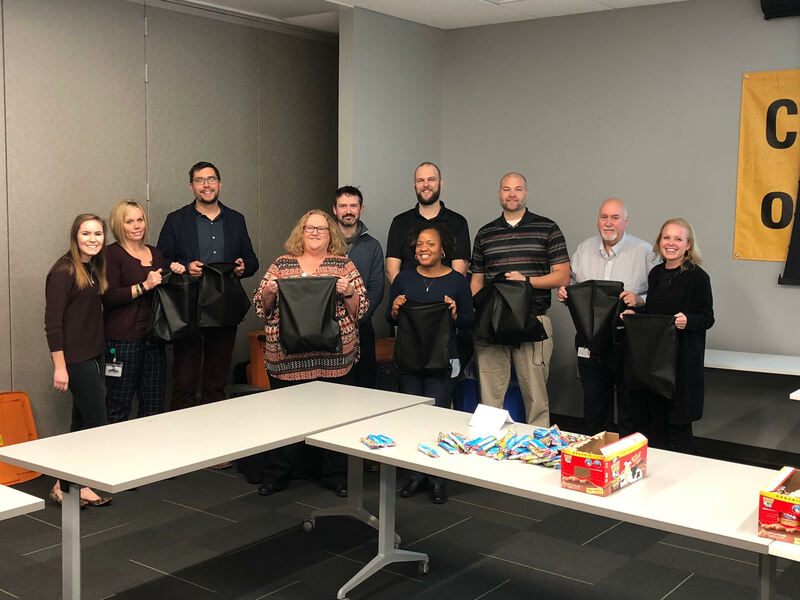 Three weeks ago at our Family Assistance Program kick-off event, we met one of our new families–a single mom with two beautiful girls, a one-year old and an eight-year old. They have been living with the mom’s mother and sister for the past year, but have fallen on very difficult times and we need your help. The girls’ grandma had a stroke and has been unable to return to work. The very small disability check she receives each month does not cover the rent and utilities, so unfortunately the whole extended family has lost their home. Their eviction court date was the day before we met them, and although we helped them connect with every single possible resource in Charlotte over the past three weeks, they were unable to gather enough funds to appeal the eviction and pay the back rent and utilities owed. Their home will be padlocked on Thursday, November 1st and they have nowhere to go. Can you imagine having to pack up your belongings and know that you have no bed to fall into at night? It broke our hearts when the mom let us know she needs warmer clothes for her girls because the only option she sees right now is for them to start sleeping in their car. You may be asking yourself why the family does not go to a homeless shelter or one of the transitional housing program in the area. Did you know….? …emergency shelters cannot guarantee bed space? – She would have to take her daughters to the shelter every day, wait in line in hopes of getting a bed for the night, and vacate their space by 7 the next morning. – She would have to repeat the whole process again every afternoon. …transitional housing programs have strict eligibility requirements, such as working 30 hours/week? – She cannot get a job until she has childcare lined up for her one-year old. – She cannot line up childcare until she knows the shifts she will be working. – She cannot apply for childcare vouchers to help pay that expense until she has the job secured and the childcare placement reserved. Over the past three weeks, the volunteer Family Liaison and her family have been in constant contact with this mom, and can attest to the fact that she has followed up on every single lead and opportunity available. She has called and visited multiple organizations for assistance with rental and utility debts. She has applied for every job imaginable, from childcare positions to retail positions and everything in between. She has reached out repeatedly to extended family members to ask for support, but they are all struggling financially as well and aren’t in a position to help her, even though they want to. Pay for a hotel room for the family so they don’t have to sleep in their car. Pay for childcare for the mom to start working. Pay for storage of their personal belongings and a rental van so that they do not have to walk away from all of the things that they have worked hard to purchase over the past few years. We can’t make all of this happen on our own, as this exceeds the amount we have allotted in our budget for the year for this family. This is where YOU come in. You can step in and help this mom and her girls get through the next few weeks until they can start getting on their feet. Please consider making a one-time donation to keep the family safe and warm together while they work on overcoming the barriers to self-sufficiency. Comment "eviction" on your online donation so it will be flagged for this need. I can tell you that this mom is doing everything in her power to keep her family off the streets. With almost no support system, she has been drowning. Only a couple of days after finding out she was being evicted, she came to our Financial Workshop earlier this month, with both girls in tow. I was able to hold her little girl and play with her older daughter while their mom learned valuable skills she can put into action once she has steady income and starts rebuilding her life. We can’t fail this family. 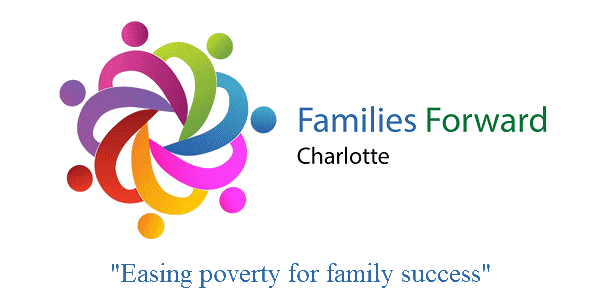 Want to help other Charlotte families in similar situations? Make your online donation a monthly gift and continue to support those that need a little boost to move their family forward! This month we kicked off our second year of programming with an opportunity for the families in our program to meet with their Family Liaison (volunteer mentor). Conversations were started, common ground was found, and plans were made to continue their relationship. 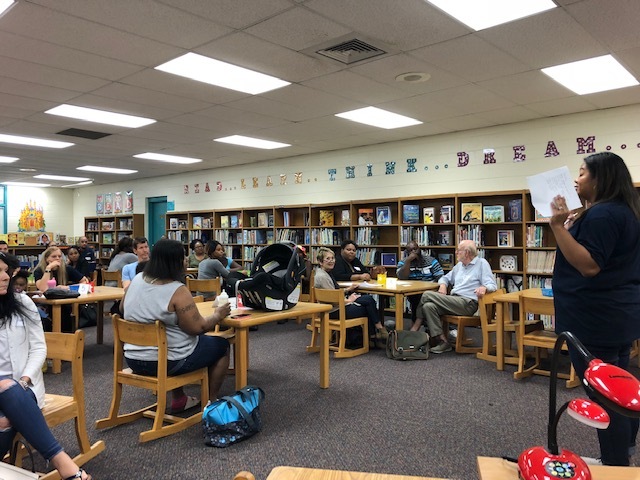 Families also participated in a Financial Workshop thanks to Common Wealth Charlotte. 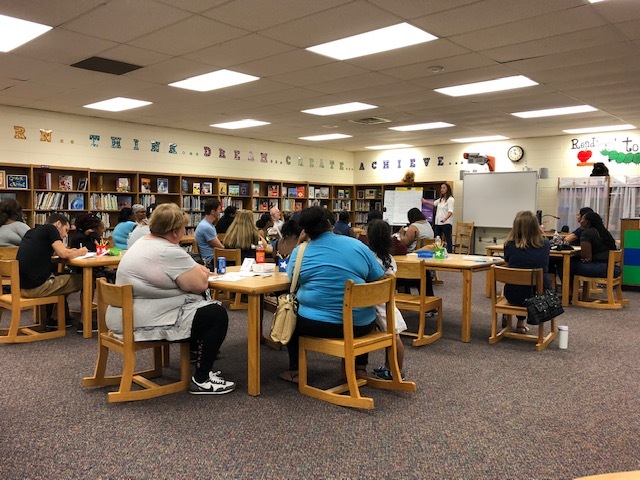 Family Liaisons and their assigned families will continue to meet monthly and connect weekly in order to build a relationship and work on setting goals and an action plan to achieve those goals. Art House Charlotte for donating a portion of your proceeds from your sale last month! CTE, the Charlotte Country Day Volleyball Program, and the Nation Ford Volleyball Program who each packed 100 Weekend Food Packs that were delivered to Hornets Nest and Oakhurst Elementary this month. Click HERE to sign up to help with Child Watch for our upcoming Technology Literacy Workshop. The workshop is at Charlotte Prep School on November 3rd from 11:15-3:45pm. Details in link.